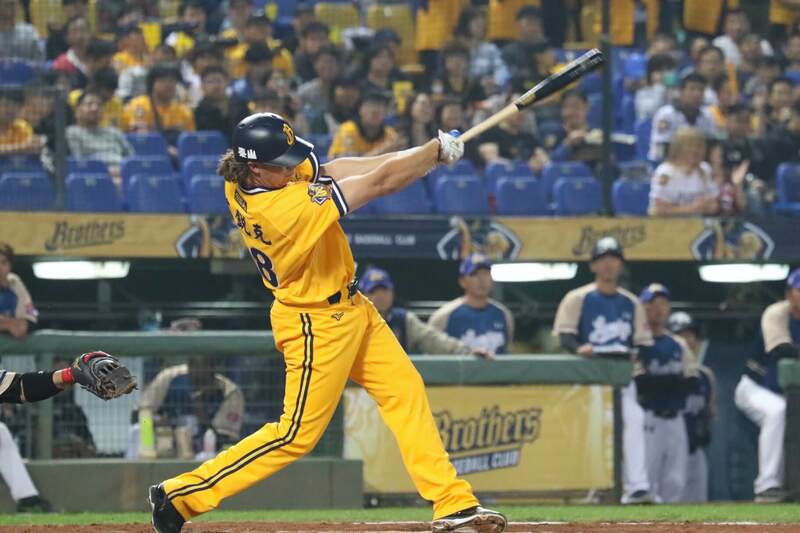 Just two games into the 2019 season the Chinatrust Brothers are already making roster adjustment with their foreign players. Earlier today, the Brothers announced that they have released infielder Eric Wood and right-hander Bruce Kern. Frictions Between Eric Wood and Manager? Despite coming off a successful spring training hitting 7-for-19 with nine RBI, Eric Wood struggled a bit in his first two games of the 2019 season hitting 0-for-9. But is that the real reason behind him being released by the team? “We decided to let Eric Wood go, it was a decision not based on his performance, there were things he did were not team-oriented,” said the Brothers’ manager Scott Budner. 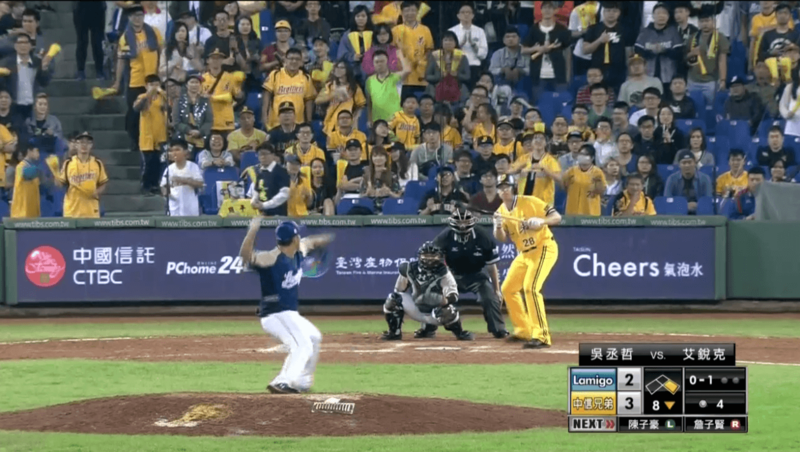 Shortly after the announcement, the Taiwanese online community speculated the whole incident might have started on March 26 in the game against the Lamigo Monkeys. It was in the eighth inning, and the management asked Eric Wood to bunt. It is possible such call could potentially lead to an argument between Eric Wood and the team’s manager Scott Budner and the whole thing escalated from that. To put timing into perspective, according to farm team player Hsu Chi-Hung, he received the call-up notification from the team around midnight, which suggested something might have happened between Eric Wood and Scott Budner after the game. It was rumoured that Brothers’ manager Scott Budner tried to physically fight Eric Wood after the game. Upon learning that information, we reached out to Wood’s representative, but his agency would not comment on that. 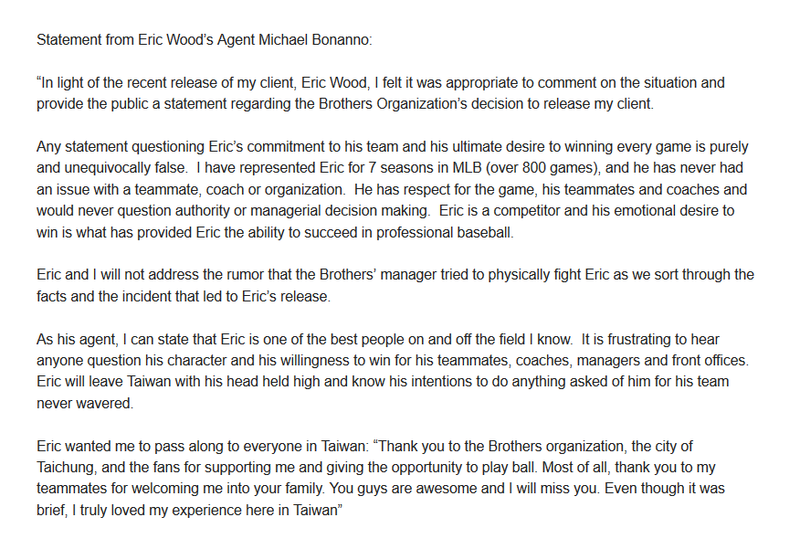 Eric Wood’s agent sent the following statement to CPBL STATS shortly after. You can read the full statement below. Returning for his fourth season in Taiwan, the 2018 Lamigo Monkeys ace was signed by the Chinatrust Brothers as the fourth backup foreign pitcher and assigned to the farm team back in February. “Bruce Kern got some elbow issues right now, he is not totally 100% healthy,” said manager Scott Budner. ETtoday reported the Brothers were fully aware of Kern’s injury prior to the signing but still went ahead with it because they could not find another backup pitcher on short notice at that time. 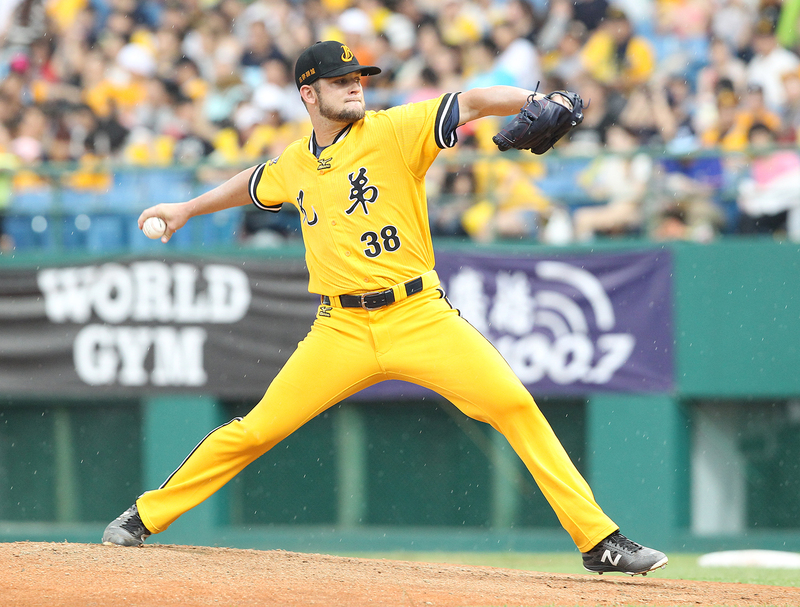 Bruce Kern finished his 2019 CPBL season without pitching a single inning. This is the third time he parted ways early with the Brothers (2016, 2017, 2019). According to the Brothers’ general manager, the team is now close to finalising the deal with two more foreign players. Depending on the signing progress, the new foreign players can arrive in Taiwan as soon as early April. 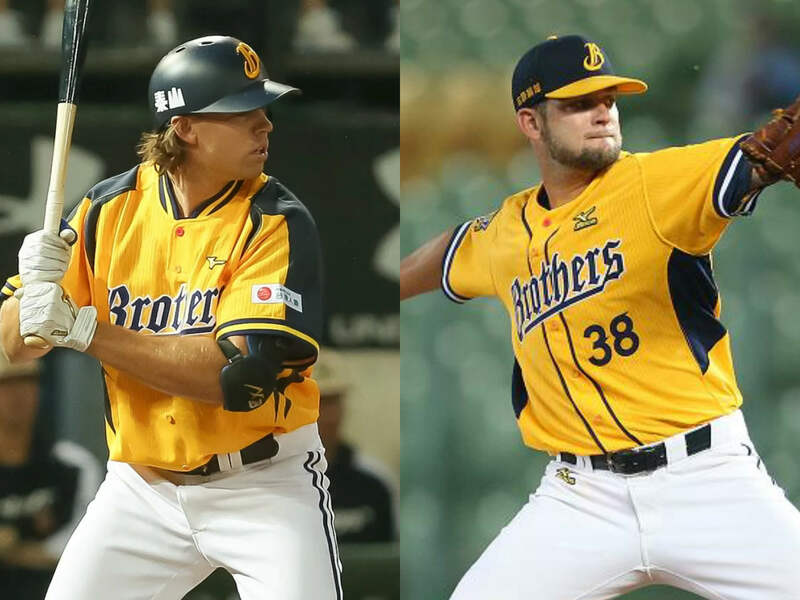 Early rumour suggested the two new Brothers’ foreign players will be one pitcher and one positional player. On March 29, according to Pirates Prospects, the Pittsburgh Pirates have re-signed Eric Wood to a minor league contract. Sad to see Eric Wood depart Taiwan so fast. Wood had only bunted twice across his previous three seasons in the MLB minors, although he bunted 16 times prior to that in the low minors, so he probably isn’t a good bunter, which may be why he was unwilling to do it. Still, if your manager on team where you haven’t yet established yourself asks you to bunt, you bunt as best you can. As for new foreign pitchers, somebody should be available as numerous pitchers are being released at the end of Spring Training in MLB. I updated the blog post this morning with more information. Including the actual direct quotes from Scott Budner on Eric Wood and Bruce Kern. It is bit a shame for Eric Wood, he seems like a good kid. I guess it is the case of wrong comments at wrong place and wrong time which led to being released. Also it is ridiculous for the Brothers to cut someone loose because there’s frictions between manager and player. Speaking purely as a baseball fan, I want to see foreign positional players. Wood has looked a bit overmatched so it’s fair to ask him to bunt there. Then again, you shouldn’t be batting him 5th if you don’t have confidence in his contact skills.